Beauty Blog by Angela Woodward: Eyebrow and Eyelash Tips and Tricks! This post is kind of a culmination of a few different questions I have had! 1- What is the best mascara and eyeliner to use? I use this translucent powder on a small makeup brush. Apply a light layer on top of your eyeliner and eye shadow to make it last all day long! 2- How can I make my eye lashes long and strong or grow my eyebrows out thicker and fuller naturally? Take a cutip, put vaseline on the end and apply it to your lash line (on both top and bottom) at the root of the lashes. This will help them grow. Do this twice a day (in the morning and before bed). You can also put vaseline on your eyebrows to make them grow fuller and thicker and faster! This is perfect for the times someone waxes your eyebrows a little to thin, or some over-tweezing has occurred. 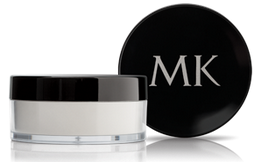 If you don't want to use vaseline I recommend using Mary Kay's Lash and Brow Building Serum. It is better than Lilash, because it doesn't pigment or darken the skin around the lashes. It is lighter and not as sticky or goopy as vasaline, and is only $38! 3- How can I fill in my eyebrows? What products should I use? I never outline my eyebrows using a pencil. Never. The line is to harsh and blunt looking. Use a powder that matches your hair color but one two shades lighter. Make sure it is a matte eye color that you are using and not a shimmery one! There is no need to use an expensive or special brand of eye color. Use an angled makeup brush to apply it. Or if you just have holes in your eyebrows or patchy areas you want to fill in use a pencil. I always use a pencil. BUT make sure it is VERY light! If your eyebrows look gaudy or drag-queenish then your pencil is to dark! I always use Covergirl Perfect Blend eye pencil. I have dark brown hair and I get the 4th lightest shade they have. 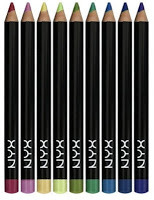 Picking the perfect eye pencil shade is definitely a trail and error process and take practice! Don't attempt your first eyebrow filling before a big date or on picture day! 4- What application tips do you have for mascara? Start by dipping the brush in the bottle, and quickly pulling it out (this helps prevent clumping). I usually only apply one coat, but once it is done drying I like to take the mascara and just brush a little more onto the ends of the eyelashes (not a full coat, just on the ends) which makes them look longer! 5- How Do I Shape My Eyebrows? 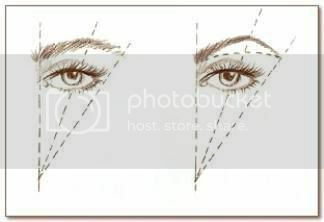 The chart below shows the method that stylists and estheticians use when shaping eyebrows. You from the inner corner of the eye as a staring point. The outer Iris is where the apex of the arch should be, and the eyebrow should extend past the outer corner of the eye. As far as the actual arch it can be as high, low, dramatic, subtle, curved or pointed as you want. That is all about preference.